Go Go Go! 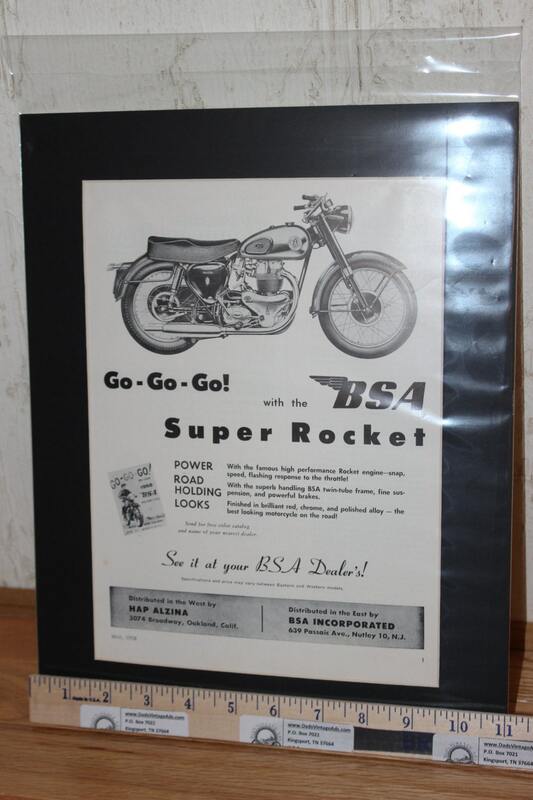 With the BSA Super Rocket. With the famous high performance Rocket engine - snap, speed, flashing response to the throttle! 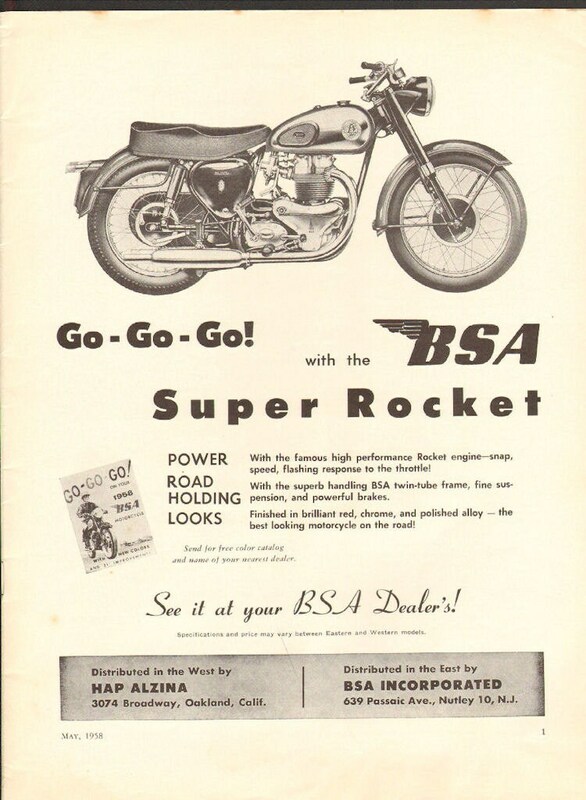 With the superb handling BSA twin-tube frame, fine suspension, and powerful brakes. Finished in brilliant red, chrome, and polished alloy - the best looking motorcycle on the road!